2 February 2015 Al Jazeera journalist, Peter Grester, was deported from Egypt to Australia after an unjust trial and 400 days in jail, for reporting in a way that spread false news and aided a terrorist group. of what was once unspeakable. You will have to shoot us all. Can you shoot us all? so we can jump together to safety? * We can measure the time we have left in the number of dogs we may be able to have – one dog equals about 14 years. that are more or less the same. Contributor to In Response to Triage – a collection published by the School of Music Poets (2014) in response to an exhibition of paintings by Karen Bailey, who was a volunteer appointed military artist with the Canadian Military Forces at the Role 3 Hospital, Kandahar Air Field, Afghanistan. Published online and in print. and you reach for space in the air. 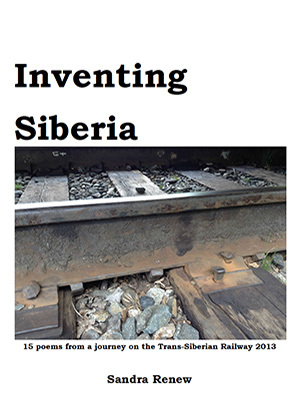 Inventing Siberia is a collection of 15 poems that emerged from a journey on the Trans-Siberian railway from Vladivostok to Moscow in July 2013.